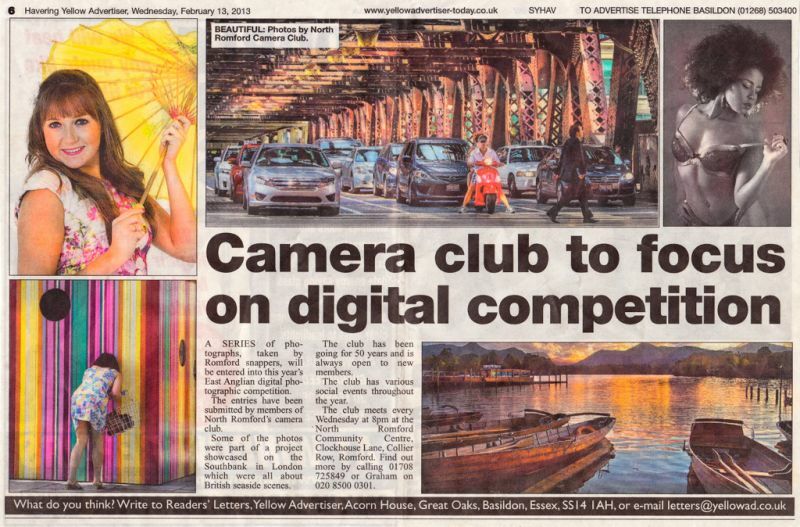 Romford Camera Club: We've done It Again! Well folks, not too sure why but we have been featured in one of the local papers once again this week. Maybe the 'why' is the wrong thing to say....I take it we are in the local paper because we are a "GREAT CLUB!" We are only in early February, wonder what the rest of the year will bring for us?